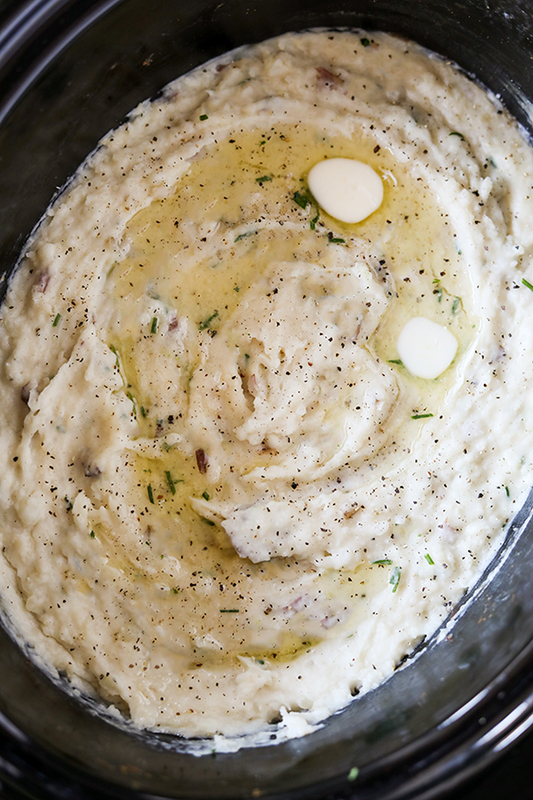 These Slow Cooker Mashed Potatoes are so delicious and a total snap to make! The best part is that there is no draining and you free up your stove top for other dishes. 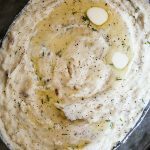 Make these slow cooker mashed potatoes early in the day and use the keep warm setting on your slow cooker, or make the day before and reheat. Start with diced potatoes and low sodium chicken broth. 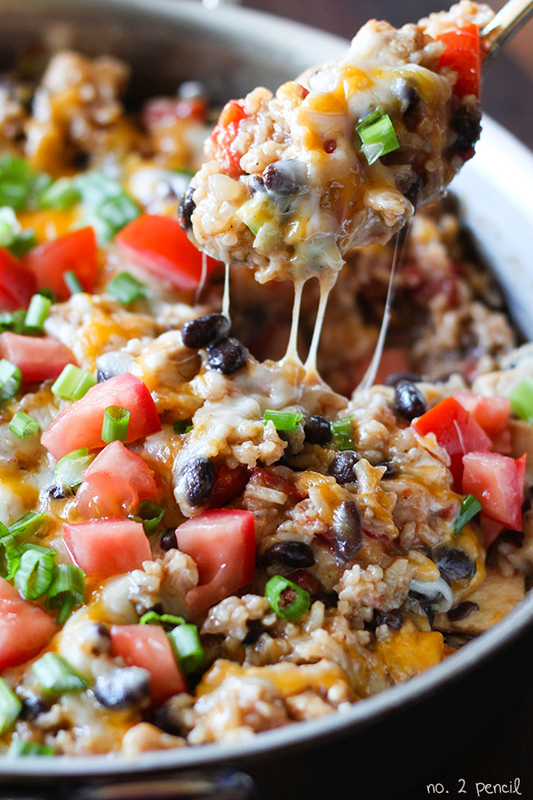 These can be cooked on high or low depending on your schedule. Once the potatoes are cooked through, do not drain. 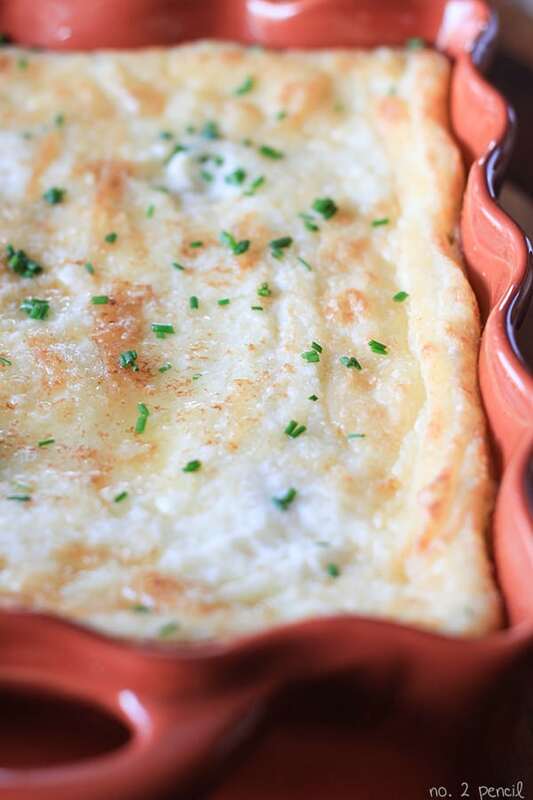 Add butter, cream cheese, half and half, salt, pepper and chives and mash using a potato masher until smooth. 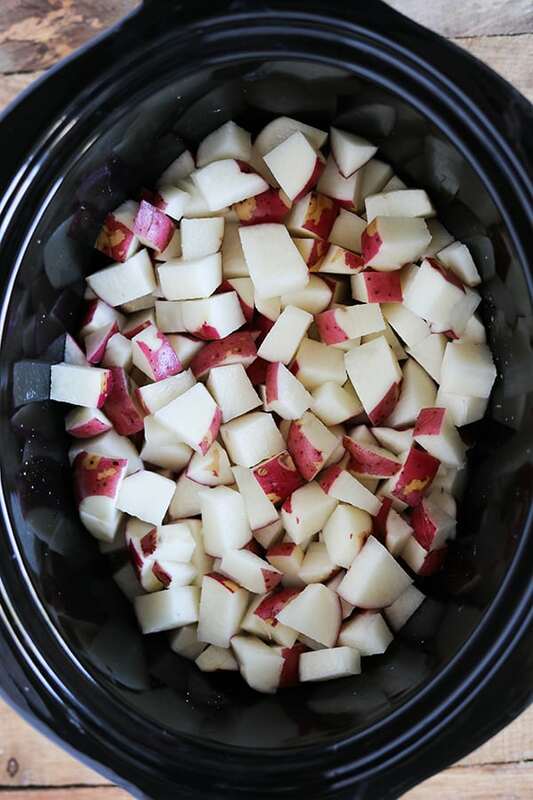 In a 4 or 6 quart slow cooker, combine low-sodium chicken broth and potatoes. 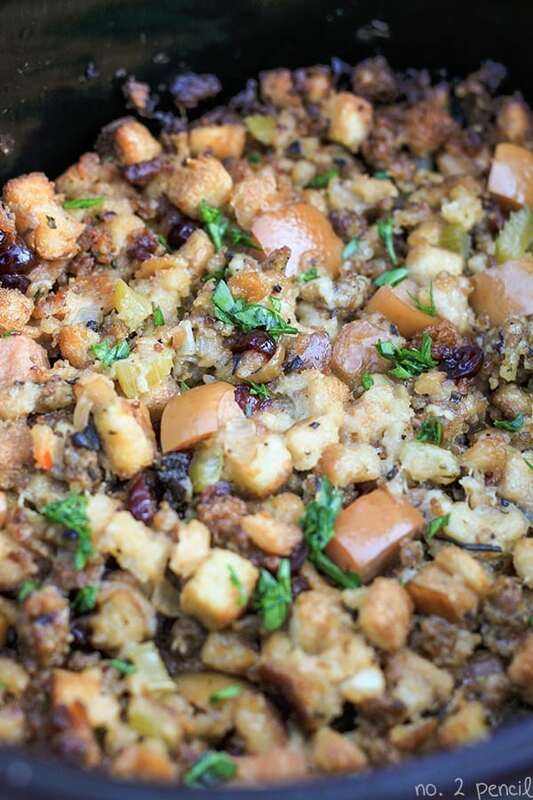 Cook on high for about 3 hours or low for about 6 hours, slow cooker times can vary. 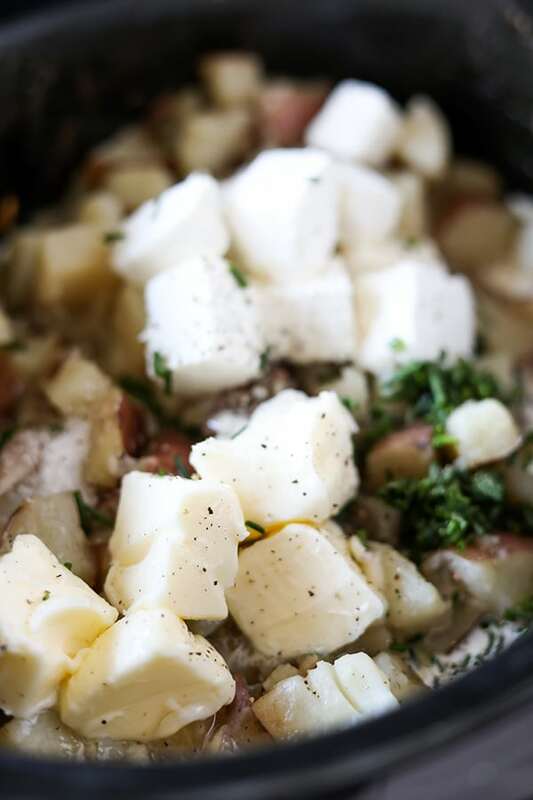 Once potatoes are tender, add butter, cream cheese, half and half, salt, pepper and chives to slow cooker and mash until smooth. Do not drain chicken broth.